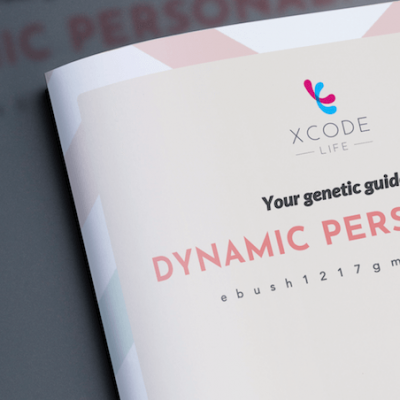 Your DNA raw data from ancestry genetic testing service providers like 23andme, Ancestry DNA, Family Tree DNA (FTDNA), Living DNA, My Heritage can be used to know your genetic tendency to for more than 30 personality traits. Empathy Empathy is the ability to understand the feelings and experiences of another individual. People of certain genetic types are more likely to be empathetic. Leadership Potential Leadership is the ability to inspire others to perform well. People of certain genetic types are more likely to have leadership qualities. Openness People with this trait often seek out unconventional and new experiences. People of certain genetic types have a higher likelihood of being open to experiences. Extraversion Extraversion is an indication of how social an individual is. People of certain genetic types have a higher likelihood of being extroverts. Agreeableness Agreeableness is associated with pro-social behaviour. People of certain genetic types have a higher likelihood of being agreeable. Conscientiousness Conscientiousness is associated with being vigilant. People of certain genetic types have a higher likelihood of being conscientious. Warrior Personality Individuals with this genotype are associated with better processing of aversive stimuli and are considered to be warriors. Worrier Personality Individuals with this genotype are associated with an advantage in memory and attention tasks and considered to be worriers. Exploratory behaviour Exploratory behaviour (EB) is an initiative to find out more about an individual’s environment. People of certain genetic types are more likely to have EB. Creativity Creativity is the use of imagination or ideas. People of certain genetic types have a higher likelihood of being creative. Entrepreneurship potential Self-employment is the capacity to develop and manage a business. People of certain genetic types have a higher likelihood of being entrepreneurs. Angry reaction Anger can be an intense emotional response to a stimuli. People of certain genetic types are at a higher risk of having an angry reaction. Angry temperament Anger is a complex trait that includes hostility, irritability and aggression. People of certain genetic types are more likely to have higher anger measures. Optimism Optimism is the expectation of positive or favourable outcome. People of certain genetic types have a higher likelihood of being optimistic. Self-esteem Self-esteem is a reflection of an individual's sense of self worth. People of certain genetic types have a higher likelihood of having better self esteem. Impulsivity Impulsivity is to act with little or minimal forethought. People of certain genetic types have a higher likelihood of being impulsive. Memory Memory is the ability to store information and then to retrieve it. People of certain genetic types are more likely to have better memory. Intelligence Intelligence is the capacity to understand, learn, reason and plan. People of certain genetic types have a higher likelihood of having higher intelligence. Intelligence- Higher IQ when breast fed Breastfed children are associated with better IQ. People of certain genetic types are more likely to have higher IQ upon breastfeeding. General cognition Cognitive abilities involve on the spot processing of information. People of certain genetic types are more likely to have higher general cognition. Maths Ability Maths ability includes cognitive development along with optimal training. People of certain genetic types have been shown to have better maths ability. Reading ability Reading ability is the skill required to understand written text. People of certain genetic types are more likely to have better reading ability. Verbal numerical reasoning Verbal numerical reasoning(VML) is comprehension of words, facts and figures. People of certain genetic types are more likely to have better VML. Car driving skills Car driving is a skill that is learnt, however motor skill learning speed may be inherited. People of certain genetic types may take longer to learn. Educational attainment Educational attainment is the number of years of schooling completed. People of certain genetic types are more likely to have better educational attainment. Perceptual speed Perceptual speed is the ability to quickly compare letters, objects or patterns. People of certain genetic types are more likely to have higher perceptual speed. Reaction time Reaction time is the time from stimulus to initiation of a motor response. People of certain genetic types have a higher likelihood for longer reaction time. Happiness Happiness is a measure of relative life satisfaction. People of certain genetic types are more likely to be happy. Morning person A morning person is more active early morning. People of certain genetic types have a higher likelihood of being a morning person. Night owl A night owl or an evening person is someone who stays up late at night. People of certain genetic types have a higher likelihood of being a night owl. Sleep duration Sleep is a significant aspect of our existence. People of certain genetic types have a higher likelihood of longer sleep duration. Deep sleep Deep sleep is the third stage during sleep. People of certain genetic types have a higher likelihood of longer deep sleep.